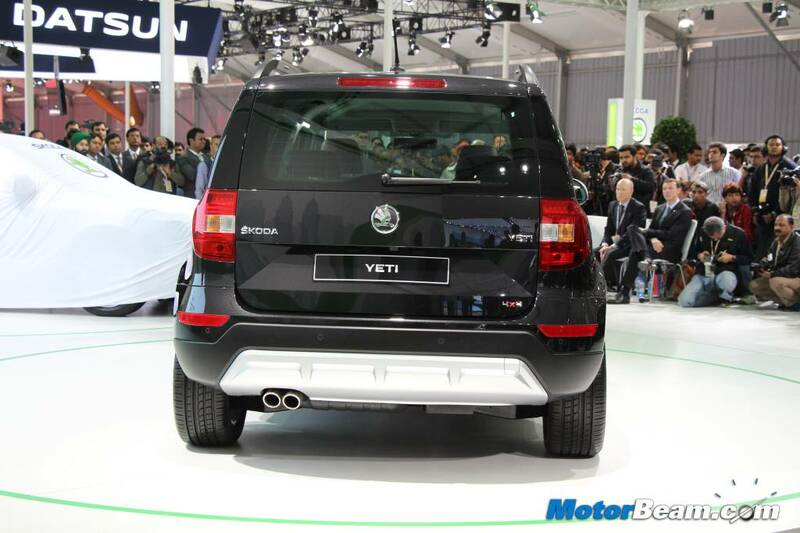 Skoda has pulled the wraps off the Yeti facelift at the 2014 Auto Expo. The compact crossover now gets the updated Skoda family look that we recently saw with the Skoda Octavia and the Skoda Superb facelift. 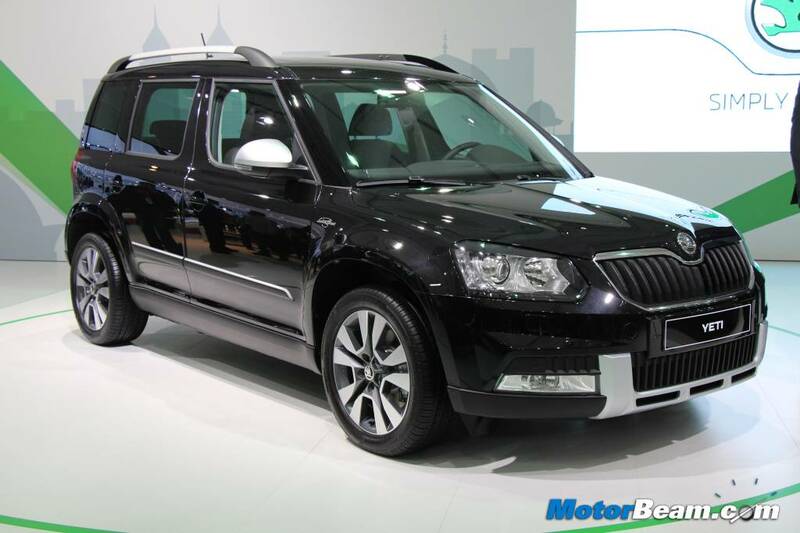 Similarly, the new 2014 Skoda Yeti gets sharp styling elements that make the car look more serious and confident. 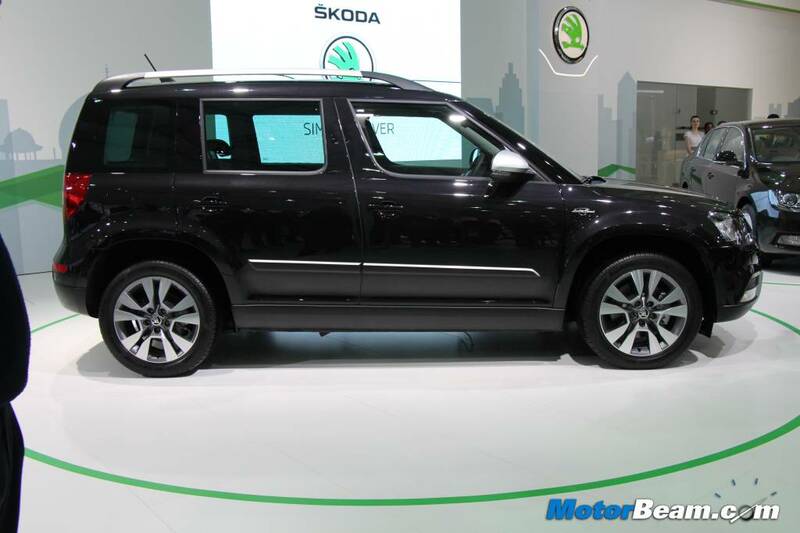 The most significant changes on the facelifted Skoda Yeti are on its face itself. It gets a fresh set of angular headlamps with integrated LED daytime running lights and projectors. The grille now gets prominent with the butterfly design and of course the flashy new Skoda logo sits on the tip. 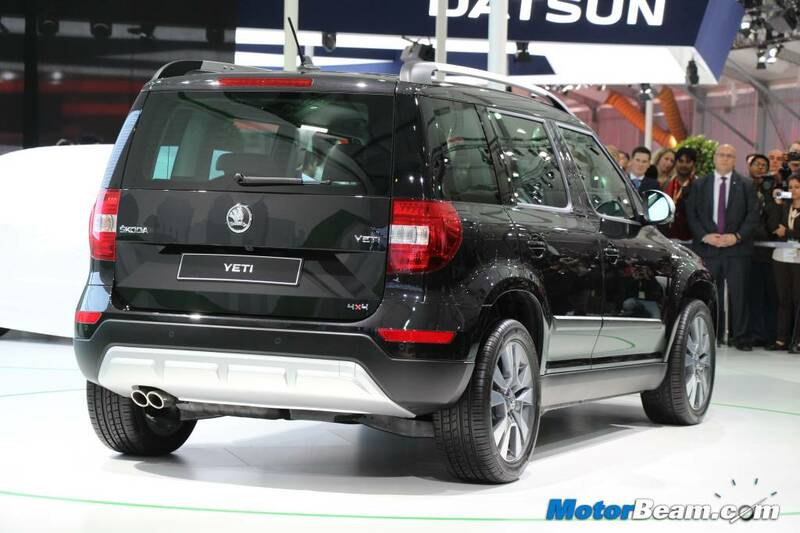 The bumpers on the new Skoda Yeti are re-arranged with sportier cuts and the overall profile looks cleaner. The side profile remains more or less the same, save for the new set of alloy wheels. The rear gets mild changes such as the C-shaped LED tail lights and redesigned bumper. 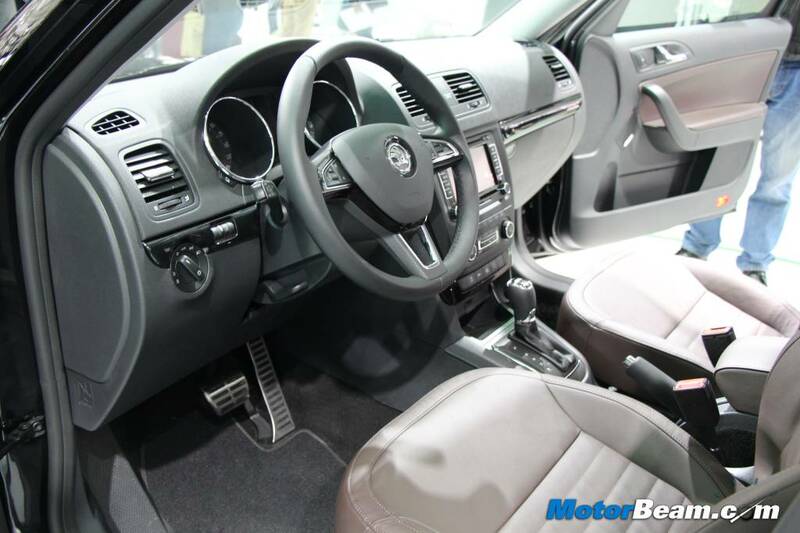 On the inside, the Skoda Yeti gets updated with new features and cosmetic changes including the new Skoda family 3-spoke steering wheel. 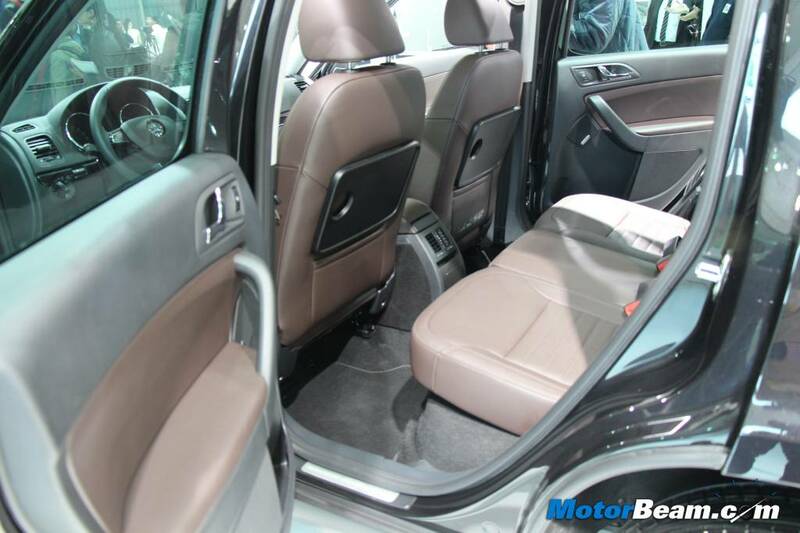 The equipment list on the 2014 Skoda Yeti includes dual-zone AC, cruise control, powered driver’s seat, panoramic sunroof, individually folding rear seats, optical parking assistant and more. Powering the Skoda Yeti internationally is a range of seven engine options including turbocharged diesel and petrol units, coupled to manual and automatic transmission options. Currently, Skoda offers 2.0-litre TDI diesel engine options with the Yeti in two states of tune – 110 BHP with 250 Nm and 140 BHP with 320 Nm, mated to 5-speed and 6-speed manual respectively. The 110 BHP version of the Yeti comes with front-wheel drive layout, while the 140 BHP version is offered with permanent four-wheel drive layout.